New Delhi: India will not need to import pulses in the next two years and the country will be self sufficient to meet domestic demand, Agriculture Minister Radha Mohan Singh said. 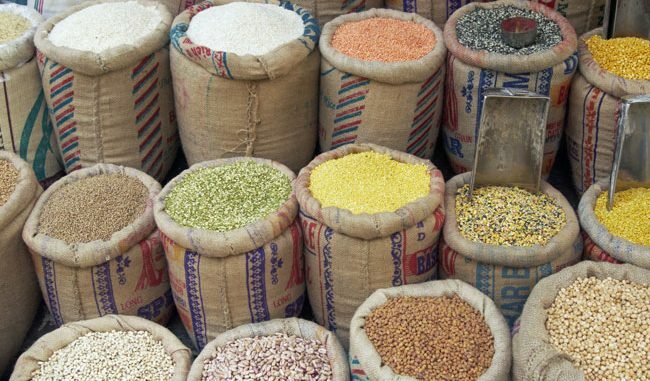 With bumper output and low domestic price, the government has recently restricted import of some varieties of pulses, which will lead to reduction in imports this fiscal. “Pulses production increased by about 6.5 million tonnes last year. We will not have to import after two years,” Singh said while addressing agriculture round table organised by Business Standard newspaper. The minister said the government is focusing on raising the production of oilseeds to cut imports of edible oils. Stating that the government is committed towards the development of rural India, poor and farmers, Singh said various programmes have been launched in the last three years to double farmers’ income by 2022. He highlighted the government has enhanced the budgetary allocation for farm sector to Rs 1,64,415 crore since it came to power against Rs 1,04,227 crore earmarked during 2010-11 fiscal to 2013-14 fiscal. The minister said the government is emphasising on better management of both input and output in the agriculture sector. Singh talked about schemes like soil health card, Pradhan Mantri Krishi Sinchai Yojana and neem coating of urea that will help in reducing cost of production and raising output. He said new crop insurance scheme and programme to link 585 wholesale mandies on electronic platform (eNAM) would help in better remuneration to farmers. He also said the production of milk, egg and fish has increased by 15-20 per cent in the last 3 years. Honey production has increased as the government is focusing on ‘sweet revolution’ to supplement farmers’ income. Singh stressed on the need of value addition to boost farmers’ income and said the government has recently launched Rs 6,000-crore ‘SAMPADA’ scheme to boost food processing sector in the country.